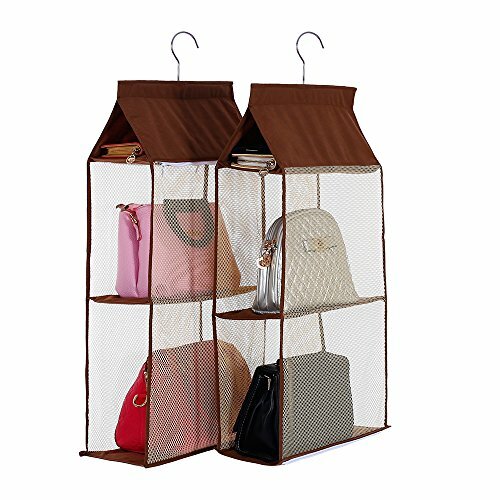 DIMENSIONS: 15.5*40*133.5cm/6"w x 15.7"d *52.5"h, 3 different colors, beige/grey/brown, more choise for you. 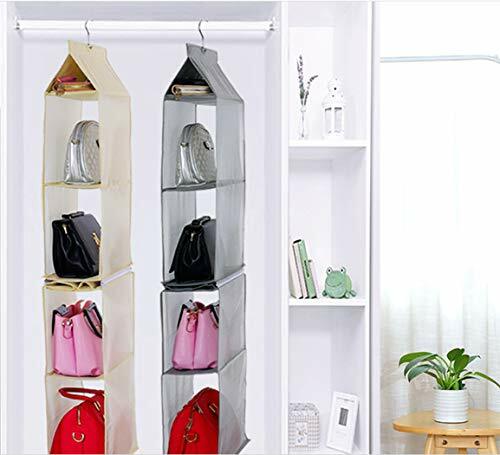 DETACHABLE DESIGN -- Adaptable for all types closet, maximum utilization of vertical space, it can be split into 2 closet organizer which making it perfect for small closets. It also has added mobility with a foldable design. Suitable for both home and travel, Easy to carry. 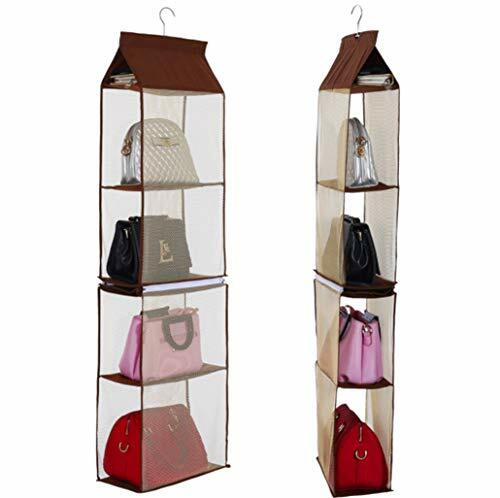 IDEAL FOR ALL TYPES STORAGE -- It's convenient and adequate Max 6 compartments offer to store different items separately, store anything from adult handbag,shoes,purses,sweaters to baby clothing,toys. 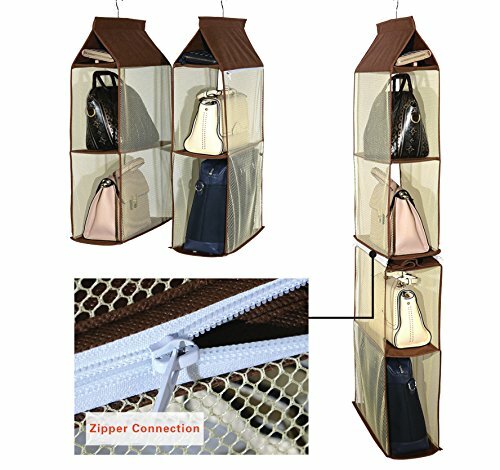 The perfect solution to organiz handbag, purse from large to small in your closet, keep bags damage free. 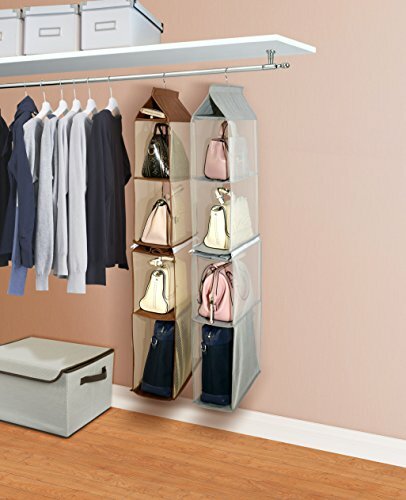 Keep your wardrobe clean and tidy. 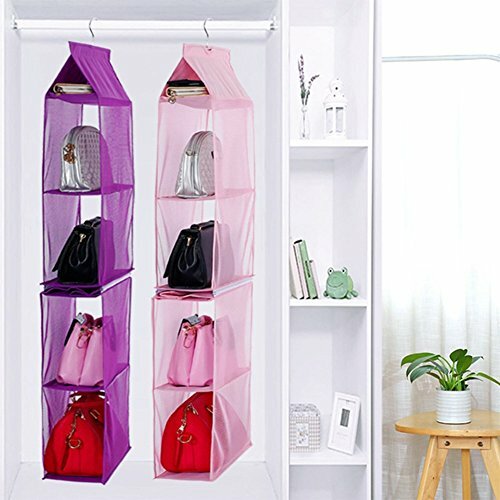 ECO-FRIENDLY MATERIAL -- Environmental nonwoven fabric makes this closet organizers system strong and durable to use, the thick polyester mesh see-through design makes it easy to view what's being stored and select the right bag for any occasion,save your time. 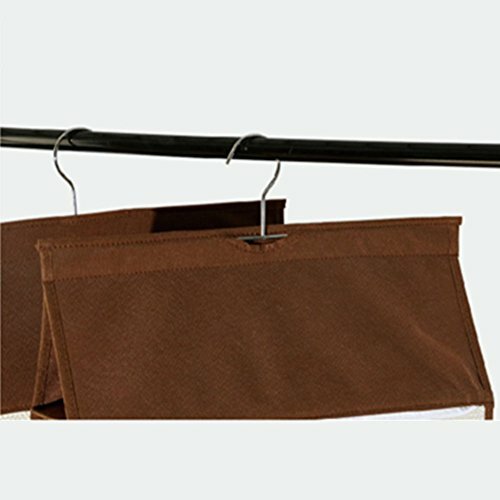 EASY TO HANG -- Sturdy metal hangers included, easy to hangs on standard closet rod.